My name is Alan Godage. I am a Classic Country singer and songwriter. I grew up listening to Country Music. By the time I was eight I was playing guitar and singing with a band on weekends. This gave me an opportunity to perform in front of a crowd. At that young age it was clear to me that I wanted to play Country music the rest of my life. I played in bands all through my school years and I also started writing songs. When I got out of the Army I started a Country band. I also worked a number of other jobs but that didn’t leave much time to play music. I even quit performing for a few years but I missed it way too much. I finally decided to make music my permanent occupation. I started another band. That was almost thirty years ago. I’ve been playing Classic Country Music ever since. I have performed a number of places in the United States, but I work mostly in the Minnesota five state area. I have recorded two studio albums. The first, “An Inside Look” has 12 of my “original” songs. It was recorded in Nashville, TN. The second, “Favorites” was recorded in Albuquerque, NM. It features songs by other well known writers. 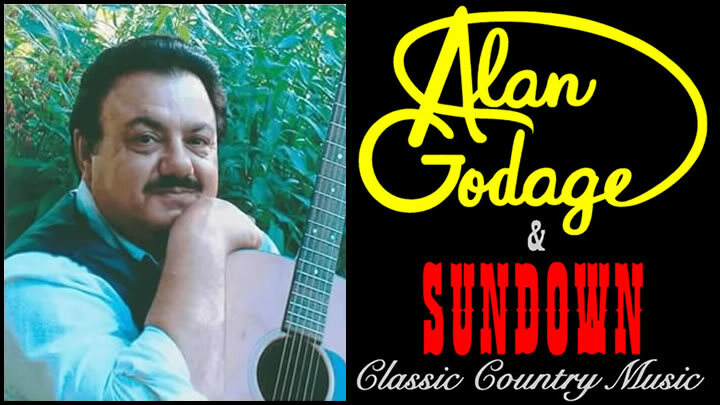 I have recorded several “live” albums with my band “Sundown.” We’ve done various cable television shows and my songs have been heard on radio stations around the world. We’ve opened for or backed Classic Country stars Bill Anderson, Jim Ed Brown, Stonewall Jackson and Jean Shepard to name a few. I have appeared on two Grand Ole Opry sanctioned shows in Memphis, TN with Little Jimmy Dickens, Hank Thompson, Johnny Paycheck, and Faron Young among others. I invite you to come out and see us sometime soon. If you’ve been looking for a “live” band that still plays real, genuine Classic Country Music… well, that’s just what we do. If you miss the music of Hank Sr., Webb and Lefty, Jim Reeves, Hank Snow, Haggard, Jones, Carl Smith, Ray Price, Johnny Cash Charley Pride and Conway, we have something to offer you. We play the music of all these great artists and many, many more. We love playing Classic Country Music. We don’t play one or two Country songs and then crank up the volume and play “head-banging” noise the rest of the night. When we play an up-tempo song our volume doesn’t automatically come up along with the beat. We play some “new” Country but only if it fits our Classic Country style, however we don’t try to cover every top-40 country song that comes out. We’ll play some “fifties”, a polka or Country Gospel if we get requests for them. That’s right… we play requests… lots of them. But, we never stray away from Classic Country Music for very long. A number of things set us apart from a lot of the other bands that are out there. You won’t see my band perform in tennis shoes and tank tops or jeans with holes in the knees. As professional entertainers I feel we have an obligation to clean up and look presentable when we’re performing. You won’t see a pyramid of drink glasses or beer cans stacked up on our amplifiers. You won’t see anyone in this band intoxicated while on stage. You won’t hear dirty jokes or remarks from our stage. Our show is suitable for all ages. We are not a karaoke band so you won’t be seeing people from the audience getting up to sing with us.